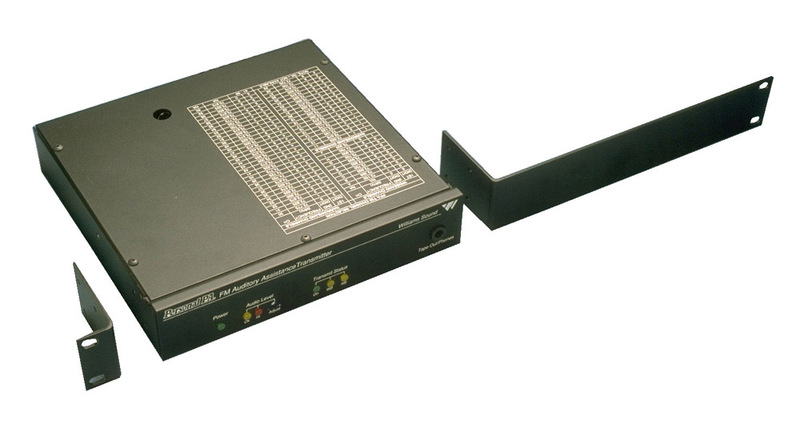 This system comes with the T27 transmitter that features an LED front panel readout. All the great features that you are used to with the T17 but updated styling and new RF interference rejection circuitry. The T27 transmitter and R37 receivers are field-tunable to 17 wideband channels. The T27 connects to the existing sound system or can be used with its own microphone (not included). Listeners use the R37 receivers to hear clearly and easily from anywhere in the seating area. 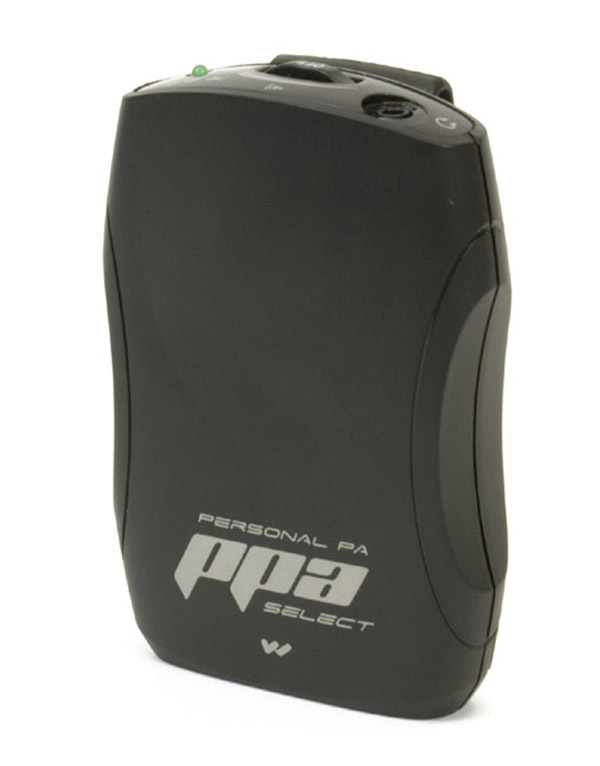 The PPA VP 37 has an operating range of 300-500 ft and comes complete with transmitter, power supply, antenna, four R37 receivers with earphones and batteries and two neckloops. The system is shipped on Channel E (72.9 MHz) but is easily field-tunable to any desired channel. Free shipping on any order containing this item (U.S. addresses). This system is also available without the two neckloops if your installation does not require it. The Personal PA 457 large area hearing assistance system features the cutting-edge PPA T45 transmitter, with multiple audio input options and an OLED display with easy-to-manage menu navigation. 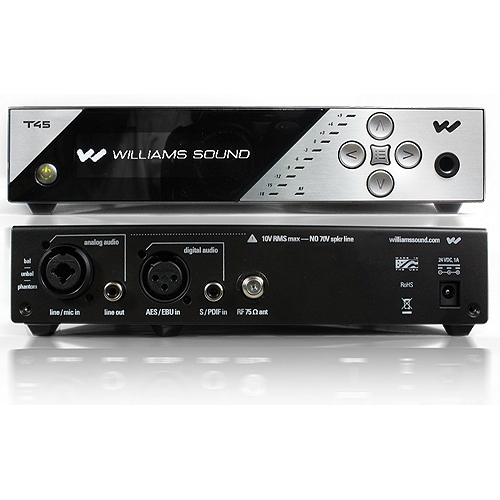 Features three powerful microprocessors and the same high-quality audio and RF performance you�ve come to expect from Williams Sound. With an operating range of up to 1000 feet, the PPA 457 is ideal for large venues where superior coverage is essential. This complete turn-key solution includes four PPA R37 receivers, each featuring seek-button channel selection with access to 17 pre-set wideband frequencies between 72-76 MHz. The system is expandable, accommodating any number of listeners. 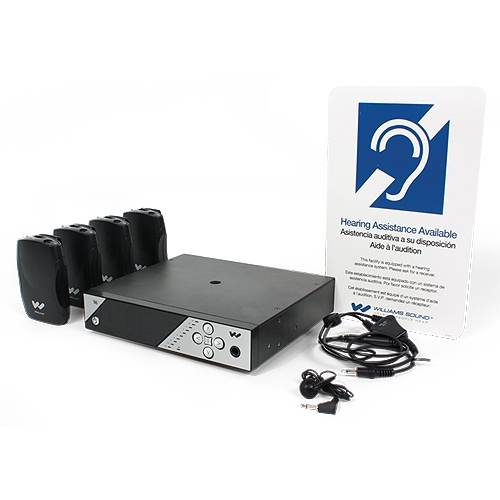 This system complies with 2010 ADA guidelines for hearing assistance and is covered by the Lifetime PLUS Limited Warranty. 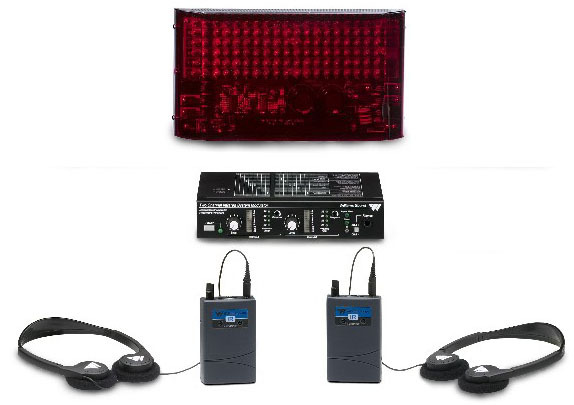 The TX925 infrared system is ideal for stereo applications and language interpretation for up to two languages. The WIR TX925 has an operating range of up to 18,000 sq. ft. in two channel mode or 28,000 sq. ft. in single channel mode. The WIR TX925 system comes complete with modulator, emitter panel, cables and power supply, two RX22-4 receivers, headphones and batteries. The WIR RX22-4 is a four-channel, selectable, infrared receiver compatible with infrared transmitters operating on the 2.3/2.8/3.3/3.8 MHz bandwidth. Dual infrared detectors maximize sensitivity and operating range. Comfortable, body-pack design features convenient channel selector and easy-to-use on/off volume control. The RX22-4N can be used with mono or stereo headphones, earphones or a neckloop (lanyard included). Includes alkaline batteries and single earbud earphone. Same receiver without batteries or earphone. To jump to the earphones page click here. To jump to the headphones page click here. 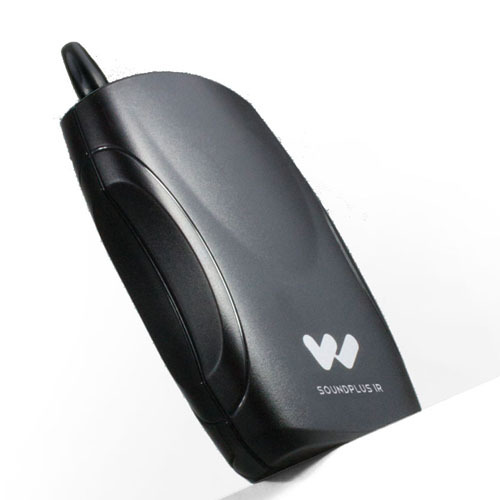 This is the brand new hearing assistance transmitter from Williams Sound, the T27. This updated version of the venerable T17 adds an LED display panel and push button channel selection to make system set-up even easier than before. Tunes to all 17 of the available wide band frequencies set aside for hearing assistance use. Includes antenna and UL/CSA approved power supply. 5 year warranty. The cutting-edge PPA T45 transmitter offers multiple digital audio input options, and an OLED high-resolution screen with easy-to-manage menu navigation. Features 3 powerful microprocessors and the same high-quality audio and RF performance you�ve come to expect from Williams Sound. It�s technology that takes the guesswork out of complex audio installation. Simply select among voice, music, or hearing assistance in the application preset menu, and this transmitter quickly configures itself. With a range of up to 1000 feet, the PPA T45 is ideal for large venues where superior coverage is essential. 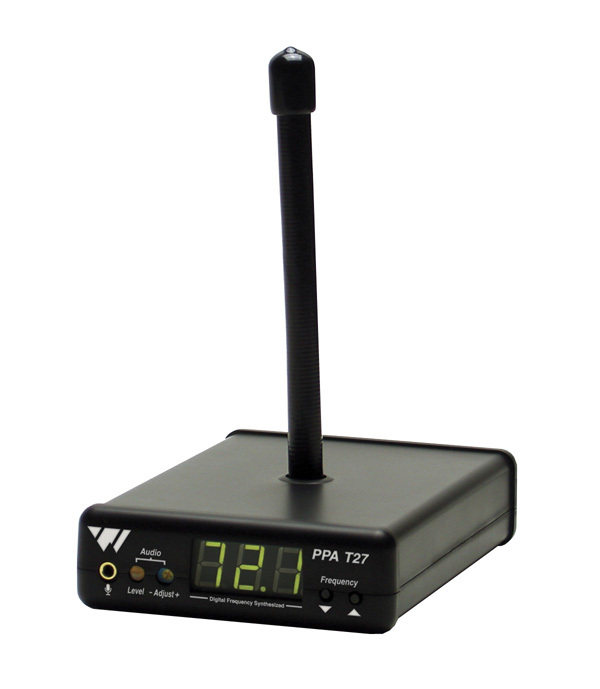 The cutting-edge PPA T45Net transmitter offers control or monitoring capability from any remote location, multiple digital audio input options, and an OLED high-resolution screen with easy-to-manage menu navigation. 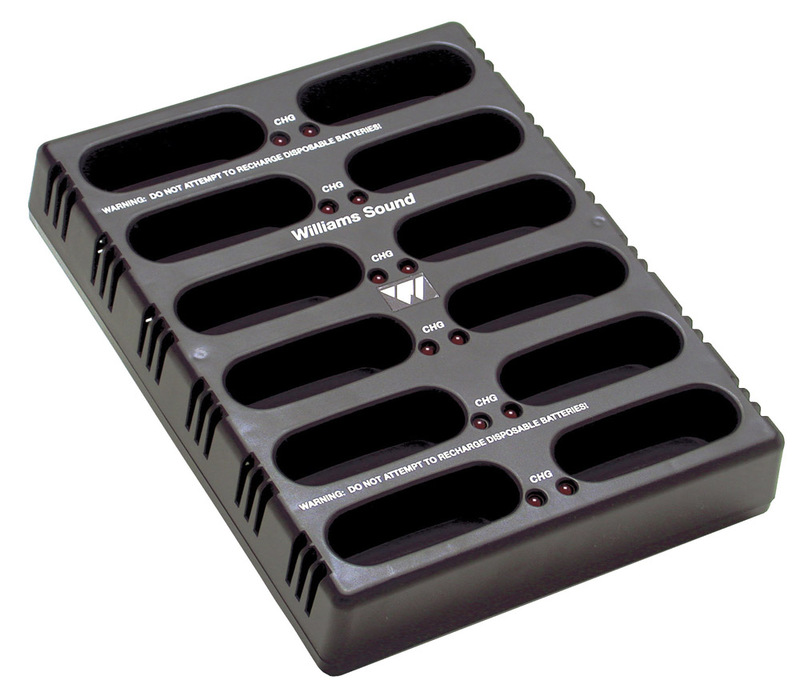 Features 3 powerful microprocessors and the same high-quality audio and RF performance you�ve come to expect from Williams Sound. It�s technology that takes the guesswork out of complex audio installation. Simply select among voice, music, or hearing assistance in the application preset menu, and this transmitter quickly configures itself. With a range of up to 1000 feet, the PPA T45Net is ideal for large venues where superior coverage is essential. 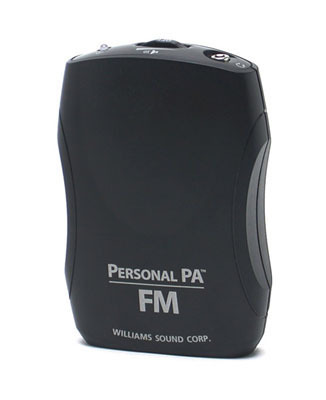 The R35 is compatible with any Williams Sound Personal PA transmitter operating on the 72-76 MHz band. It is field tunable to any of the 17 hearing assistance frequencies. It will operate for about 100 hours on 2 AA alkaline batteries. 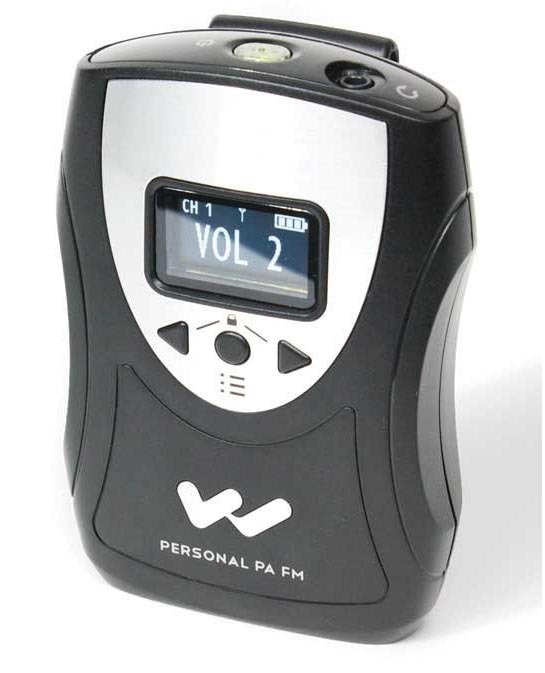 It features a volume control/on/off dial, earphone jack and LED power indicator. This model has been discontinued by Williams Sound but we have a limited number of new units still available for sale at a discounted price. The R35 and the R37 are very similar in features and these units can save you money. Covered by the Williams Sound 5 year warranty. The stylish, impact-resistant R37 single-channel receiver is compatible with any Williams Sound Personal PA transmitter operating on the 72-76 MHz band. It is switchable to any of the 17 hearing assistance frequencies with the push of a button. It will operate for about 100 hours on 2 AA alkaline batteries. It features a volume control/on/off dial, earphone jack and LED power indicator. Includes batteries and earphone. Even though the R37 is easily field-tunable, we will ship preset to your selected frequency at no additional charge. The Williams Sound PPA SelectView R38 receiver has a high-resolution OLED screen and quick view access to all user settings. The receiver is digitally synthesized for exceptional audio clarity and stability. 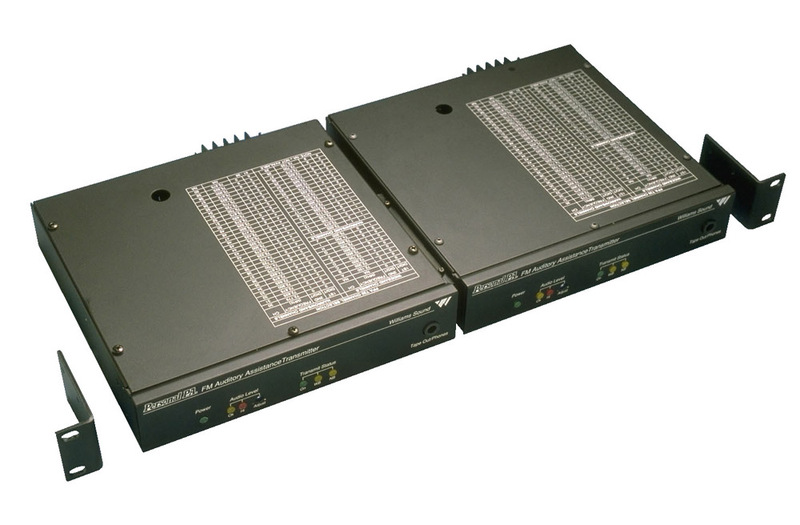 Use the on-screen channel selection for easy access to 17 pre-set, wideband frequencies (72-76 MHz). Includes alkaline batteries and single earbud earphone. 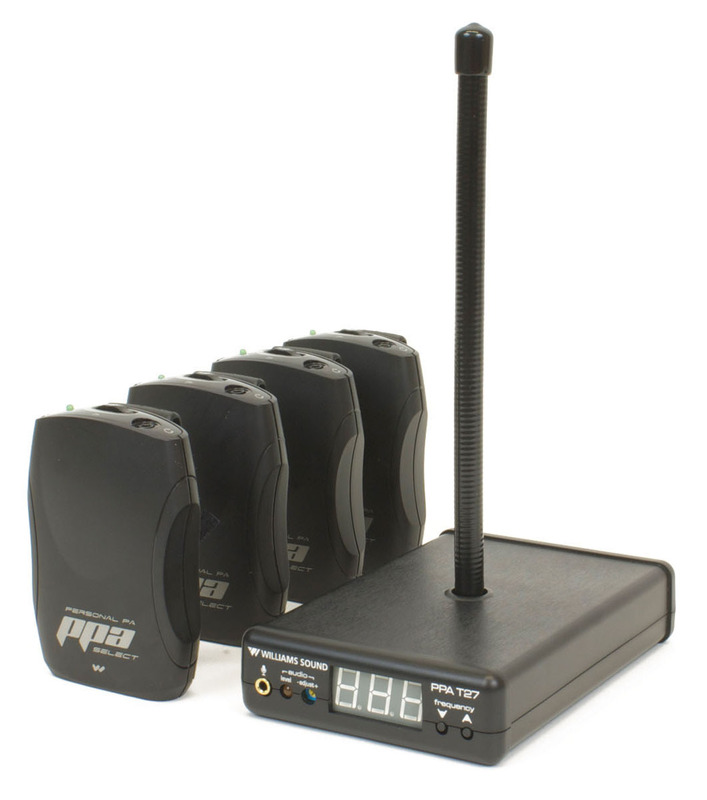 The PPA T46 transmitter will broadcast a speaker�s voice or audio program on one of 17 available channels, 72-76 MHz, to listeners using PPA R35-8 or PPA R37 receivers or an R1600 speaker. The unit features flexible microphone and auxiliary input jacks, push-button on/off/mute controls, channel lock and selectable compression. The T46 has the ability to operate in dual channel mode, allowing the user to easily switch between two different transmitting channels, each with its own set up parameters. An OLED screen displays current operating status and menu information. The new T46 operates up to 30 hours on two AA Alkaline batteries, and up to 20 hours with two NiMH batteries. It has recharge capability when used with Williams Sound drop-in chargers. 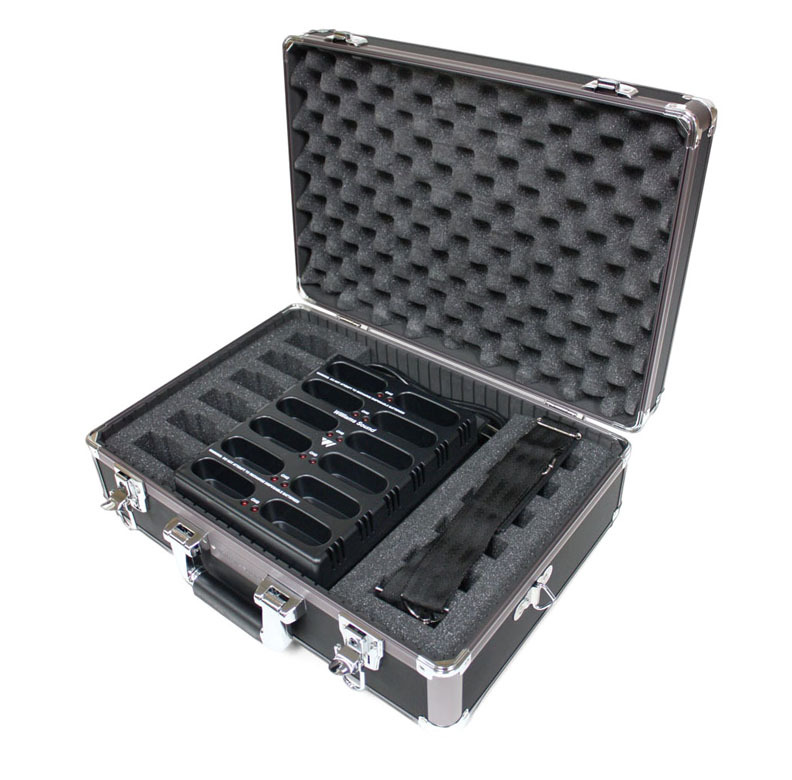 Lightweight and portable, the PPA T46 will operate at a range of up to 150 feet from the listening audience. Ideal for providing hearing assistance to students in the classroom, tour group participants, employee training, business meetings and more. Includes batteries but does not include microphone. Order the desired microphone style from the microphones page. To jump to the microphones page click here. 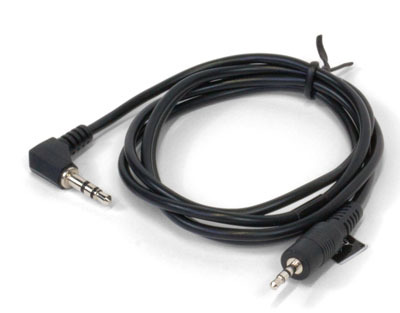 3.5 mm to 2.5 mm stereo audio cable, 1 meter. Used as an auxiliary audio input cable for the PPA T46 transmitter. 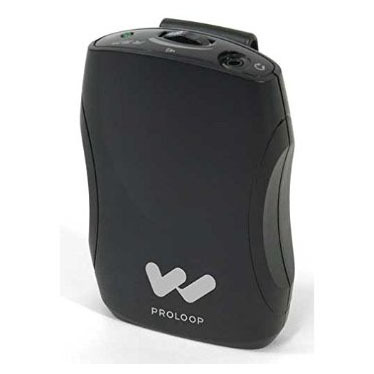 Simple and convenient to use, this induction loop receiver is designed for use in induction-looped areas by listeners who do not wear T-coil equipped hearing aids. Compatible with all brands of induction loop systems. Does not include batteries or earphone. Charges over the course of a four hour time span. Helps keep your receivers organized and saves cost on having to replace alkaline batteries. Features individual charging LED indicators. LEDs blink when batteries are fully charged. Charges over the course of a four hour time span. Helps keep your receivers organized and saves cost on having to replace alkaline batteries. Features individual charging LED indicators. LEDs blink when batteries are fully charged. All in a convenient carry case. 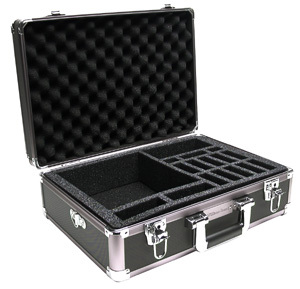 System carry case includes foam compartments to hold a transmitter, up to 10 receivers and accessories. 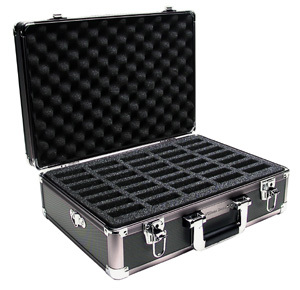 Receiver carry case includes foam compartments to hold up to 35 receivers. All the parts needed to rack mount one Williams Sound half rack product. To view or print a copy of the installation guide for this product, click here.